XPS Pensions Group (LON: XPS) is the topic of conversation when Zeus Capital Research Analyst Robin Savage joins DirectorsTalk. Robin explains why there is such a difference between the headline revenue growth and the adjusted EPS growth, the outlook for the company and given that XPS is trading at 161p a share does Robin consider this an attractive proposition in current market conditions. 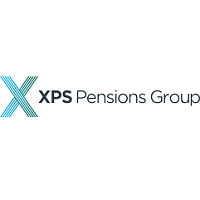 XPS Pensions Group plc is a UK specialist in pensions actuarial, investment consulting and administration, providing a wide range of services to over 1,000 pension scheme clients. The XPS Pensions Group combines expertise, insight and technology to address the needs of both pension trustees and sponsoring companies. The Group has roughly 900 employees, of which approximately 90 per cent are client facing, with 15 offices providing the Group with access to staff, expertise and clients across the UK.